McBrid is a scientist in Conguise’s lab. He made a grave mistake and in order to survive the Professor’s wrath he needs to create another monstrosity. But this experiment will be quite different. Does he have the stomach to go through with it? I know, it’s been ages since I posted a review. That’s because it’s been ages since I actually read a book. As I posted previously my life has taken quite a turn over the past year and I haven’t found the time or energy to read but the author was kind enough to offer me this book to read and review and I am so happy that she did. Well I have to say that Ms O’Dea did it again. This short book kept me entertained through and through. I loved every single character and their evolution. 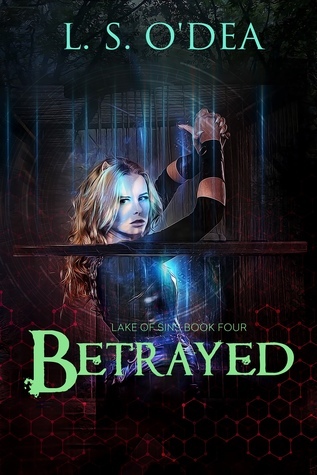 The story was touching, thrilling, exciting and although the ending was very well achieved and timed I was left wanting more because I was so enthralled by the story and wanted to know what came next for all of the characters. This is a quick read that will grasp you and not let go. I am extremely excited to see what comes next. 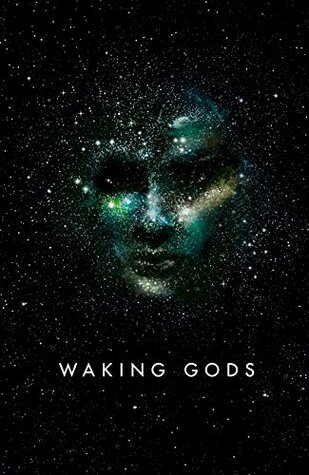 Please note that this is a spin off of the main series Lake of Sins and I believe you should read that in order to understand the world building and evolution better, otherwise you will not understand certain references. The Circus arrives without warning. (…) It is simply there, when yesterday it was not. The book tell us how did this wonder came to be. 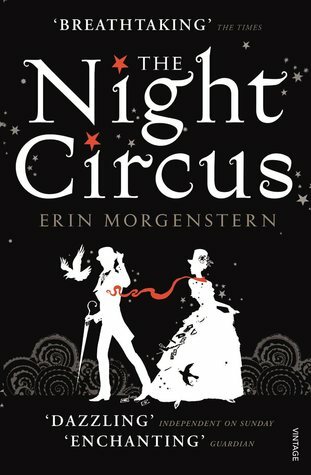 The Night Circus takes magic to a whole new level. The book is entrancing, whimsical and it just whisked me away whether I wanted to or not. It is quite an epic tale and did tire me after a while. I was unable to fully feel enraptured by all the beauty because I wanted something more to happen. But that is my own fault. I find myself seeking fantasy less and less and craving more complex characters in each book I read. However, this was very well done indeed. Even the romance was expertly weaved into the masterful tale and that is usually the part that lets me down the most in a book that has such amazing world building. I find the narrative quite well achieved. The different timelines and the short chapters using second person bring more dynamic to the book, which definitely helped, even though I was often confused at what happened when. It is not a book that you can skim through. It is a full-out adventure that you need to completely immerse yourself in and have no room for anything else. However, it will be worth it. Welcome the Le Cirque des Rêves. Step right in and be mesmerised. Kara, Vincent and the rest of the team are learning to deal with the Dr Rose Franklin who, following the events at the end of book 1, is now a completely different person. In the meantime, a new, bigger and everyone is assuming better giant robot has landed in London. It just stands there, not moving at all, but what could this mean? And who will make the first move, us or them? I had SO much fun reading this. I just love these characters and there was just enough action and humour to keep me fully invested. The science isn’t overwhelming but it’s there in case folks want to delve into that aspect, though I can’t tell how accurate it is. It was absolutely good enough to convince me. For those who are unfamiliar with it, the book is narrated through the Themis Files – personal logs, reports, official logs, etc. So there is no narration, it’s all dialogue. This style is not for everyone but I absolutely loved it, as I had in the first book. It makes the book so dynamic and gives the reader a chance to connect more with the characters. I wasn’t too keen on the Boogeyman and Mother Goose codenames and I have to admit I need to reread Mr Burns’ explanation cause I didn’t fully get it at the time. Also, I found that trying to explain the nameless man’s past totally took away his appeal and didn’t even satisfy my curiosity because I found none of that enough to explain that character but despite these things I still do not hesitate to round this up to 5 stars because it was utterly amazing. I don’t want to spoil the story for you so I won’t comment on that but do know that you need to read the first book of the series first or this won’t make sense. I highly recommend this to anyone and look forward to the third book of the series. I came across this by accident. I was curious that Brad Pitt was an executive producer for it and the premise really intrigued me. The pilot reassured me that this was something I would enjoy. A young blind woman who had been missing for 7 years not only returns but is now able to see. 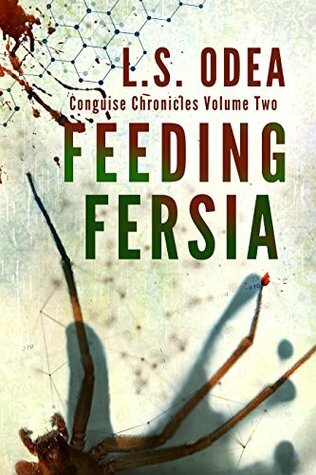 As she comes across the least expected secondary characters, the story evolves into something unique, pure even, with a hint of sci-fi/fantasy. The more you learn about what Prairie endured the more heart-breaking but also hopeful you feel for her. Each episode left me wanting more and I struggled to pace myself and leave another episode for next time because I wanted it to last. 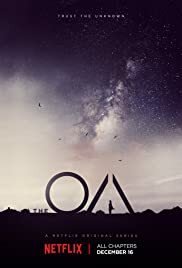 The OA is truly a true piece of art that demands your full attention. I absolutely love the camera work here and above all the sound production. When you consider the two together it is really something special. There are so many plot holes, though. There were just so many things that did not make sense like there is no way she could reach to her back to make those scars or we never even get to know why she jumped to the water on that first episode; maybe one of the most blatant ones is Steve being sent away, Betty pays 50k for him, and then he is back to normal life – just to name a couple. Also, I could never relate to the characters and still don’t know how they got pulled in to all the craziness. I don’t remember any episodes focusing on Jesse at all so that one’s a complete stranger for me. And finally, the last episode was a big let down for me, and I can see why several people wrote reviews stating that the entire thing was an enormous waste of time. I don’t regret watching it. I still think it is beautiful to watch, the image and sound are amazing, but the content could have definitely been improved. I believe I would watch a new season. In an alley, there is a tiny iron door that only shows itself on certain times and is only visible to certain people. If you happen to be one of them, be careful. Slade House has two inhabitants who will want you to stay forever. Not only is it absolutely gorgeous but it also conveys the feeling of the book splendidly. Alright, enough gushing, on to the proper review. Slade House is a difficult one to review. There are some books where you just can’t say much without spoiling the experience because the unveiling of the mysteries at the pace that the author presents them is what gives it such power, and this is one of them. What I can tell you however is that it is a deliciously magical novel. For me, it was absolutely riveting, fast-paced and most of the time I was completely enthralled by the narrative. And every time I thought I knew what was happening, doh! Nope, the author got me. 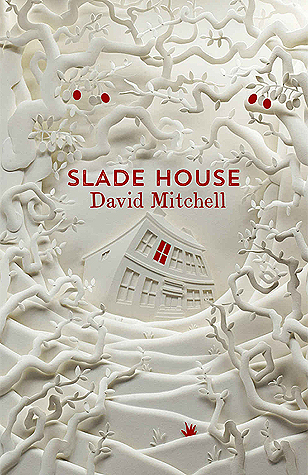 I had heard good things about David Mitchell and this was my first experience with him. I can definitely say I would love to read more by him. If it is said that Gordon did not call the handyman then that means he never left the orison that first time, right? Not like anyone else did. So how did he write the report describing the little door then? It is said that one of the twins creates the orison and we don’t see much of that one during the interaction with their guest. I got the feeling that that twin does all the work keeping it up and whatnot. However, in some cases both Norah and Jonah appear, especially in the first one with Nathan. So how exactly does it work? I was confused as to why they had to wait 9 more years after Freya. Does the door only open on that specific day at the end of October? Norah kept arguing with her brother but I never got what alternative she was proposing. If they left, their bodies would age and rot, so what could they do? Also, I was not a fan of the open ending and it makes me wonder if there will be a sequel, though it doesn’t look that way. Other than that, this was an amazing read, highly recommended if you are looking for a magical tale with a chilling touch. A solid 9 out of 10.